Many well-to-do people started life having nothing, but through hard work and perseverance, they now have everything at their disposal. 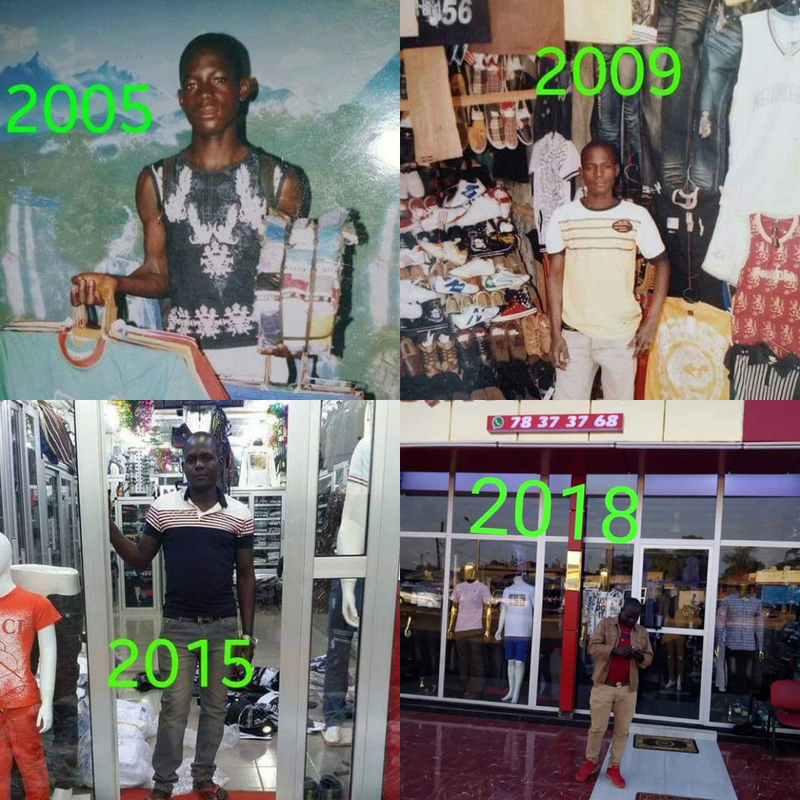 The story of a young entrepreneur who sells clothes went viral after photos of his humble beginning hit the internet. The same young man, didn’t relax as most young well-to-do people may do, he worked extra and he is here today showing us his progress. Sharing his story, he began selling clothes in the early 2000’s, and at that time, he didn’t have any shop to put his wares into, so he had to make do with hands. After much hard work, he got a wooden kiosk in 2009 and his luck began to double from there by adding sneakers to his line of business. By 2015, Sam was aleady a proud owner of a big store that was fully stocked with men’s, women’s, and children’s wears. So far, he has opened a bigger boutique, to the amazement of everybody who knew how he began. This is a story of young who defied all odds to make ends meet. You may be like Sam, never despair because hard work and perseverance pays.